Most of the restaurants in North Adelaide are located on O'Connell Street, the main commercial street in the suburb. O'Connell Street is the continuation of King William Road from the city and the link to Main North Road, the main thoroughfare in the northern suburbs. Of the 20 restaurants that we have visited, 17 are located on O'Connell Street! Gouger Street, the 'food street' in Central Market has mainly Asian restaurants. The restaurants along O'Connell Street, however, are more varied so it's difficult to do a comparison across the board. Instead I have categorised the restaurants and listed my favourite restaurant for each category. 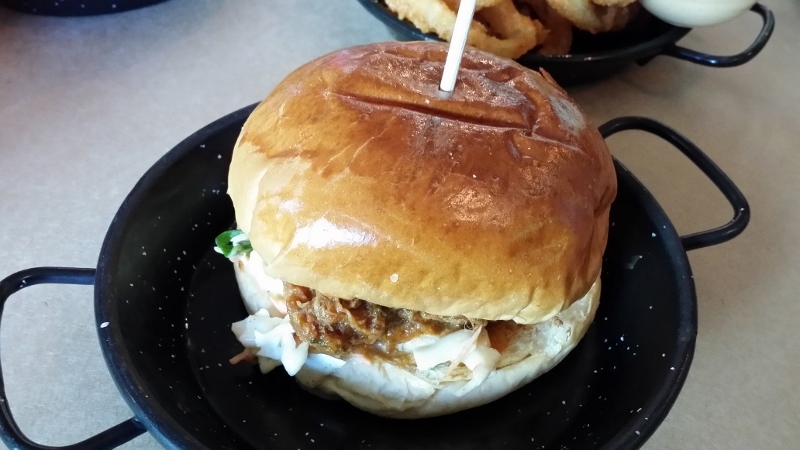 Burger Joints- My favourite burger was the Piglet from Chuck Wagon due to its unique taste. The restaurant also provides a diverse range of side dishes. I also enjoyed the burgers at Bad Boy Burger Bar, particularly the Ring Stinger for its spicy flavour. 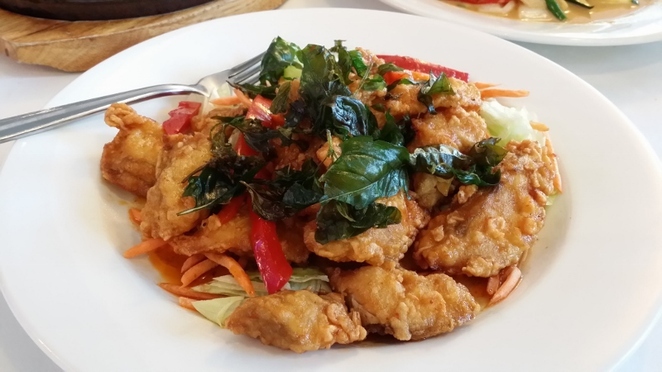 Thai Restaurants- my favourite Thai restaurant in North Adelaide is Toptai Restaurant. Toptai serves one of my favourite dishes, the Spicy Barramundi. I loved the crispy pieces of fish tossed in the spicy sauce. Other Thai restaurants in the area are Amarin Thai and Thai by 3 Monkeys. The dishes served at Amarin Thai are a bit more unique compared to the other two though service was a bit slow when we visited it. Indian Restaurants- Arya is easily my family's favourite Indian Restaurant and we often order food from there to take away. 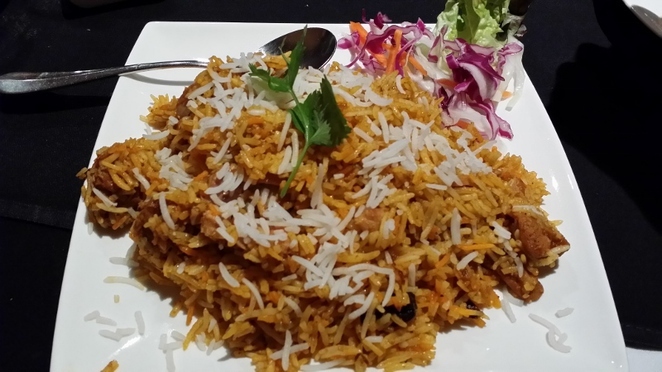 It has quite a few dishes that we liked with our favourite being their Chicken Biryani. Beyond India is notable for serving a variation of Biryani known as Dhum Biryani, the name coming from the dhum process of sealing the dish with a dough to keep the biryani moist. Italian Restaurants – we have eaten at several Italian Restaurants in North Adelaide but my favourite dish is the Twister Pizza at Cecconi's on O'Connell. 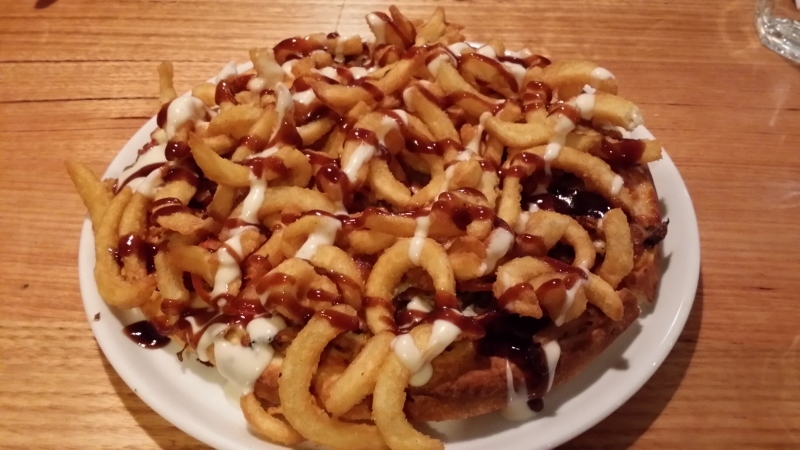 Despite being a bit difficult to eat, the topping of curly fries gave it a unique crunchy element and made it surprisingly filling. Other Italian places that we enjoyed are: Cafe Palazzo; Paesano Restaurant; Cafe Fellini; Pellegrini Café Ristorante; and Fasta Pasta Restaurant. Pub Food- The Wellington Hotel is our current favourite pub food place. 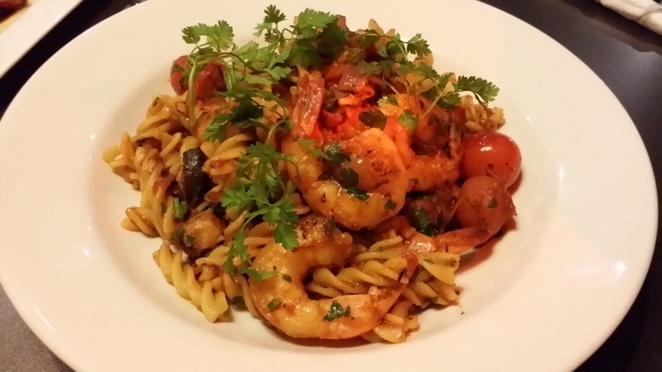 We enjoyed all the dishes that we ordered but our favourite was the Prawn Pasta. Other good places at North Adelaide where you can enjoy pub food are The Archer Hotel and the Royal Oak Hotel. Japanese Restaurants- Saizen Sushi Bar serves the normal food associated with Japanese cuisine, serving both sushi and a selection of hot dishes. 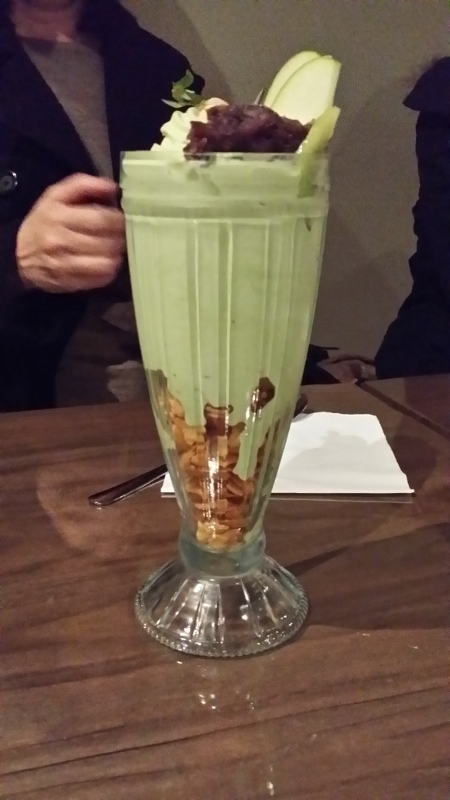 Matcha House serves desserts with an Asian flavour with most of its dishes using the ingredient (matcha) the dessert bar is named after. Indonesian Restaurant- Ketut's Kitchen is the only Indonesian restaurant that we know of in North Adelaide. 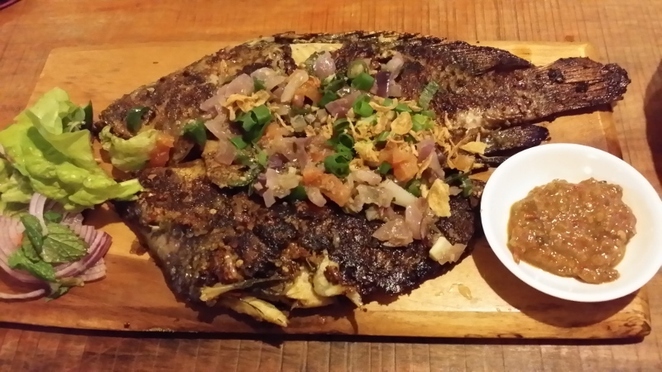 A nice dish to try is the Ikan Bakar which consists of a char-grilled fish accompanied with spicy sambal. Chinese Restaurant- Saigon Gate is a great place for Chinese food with the restaurant also offering a few Vietnamese dishes as well. 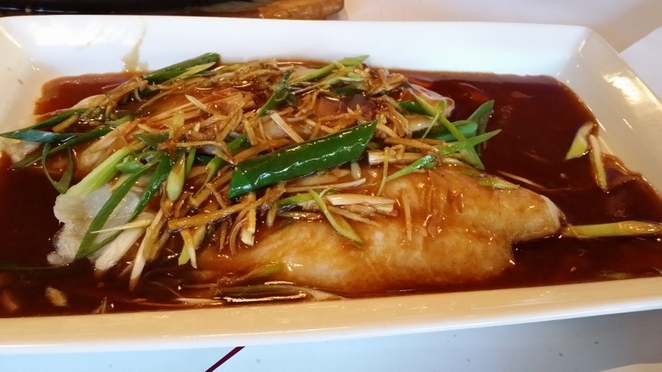 The dish we typically order is their Steamed Fish Fillets as it has tender fish with a sauce that brings out its flavour. Where's your favourite restaurant in North Adelaide? The restaurants we have patronised are located along the main roads. I'm sure there are also nice places tucked away in corners of the suburb. Moroccan Cuisine - at Marrakech Restaurant, scrumptious tagines, very tasty entrees and heavenly desserts. Very friendly staff also the owners Mohamed and Asif will keep you amused. Decor of venue will give you the idea that you could think that you are in Morocco! For excellent pub food that is consistently good quality, don't forget the Lion Hotel. The restaurant is exceptional also! !